Together, we’re imagining how we might trust God to make our love increase more and more for one another and all of our neighbors. We’re joining with this little, vulnerable, vibrant and ancient church in Thessalonica to believe that Jesus, through his death and resurrection, will guard our life’s light from being determined by the great darkness around us. We’re living to give ourselves to love of God and neighbor as we overflow with holiness, love and hope. 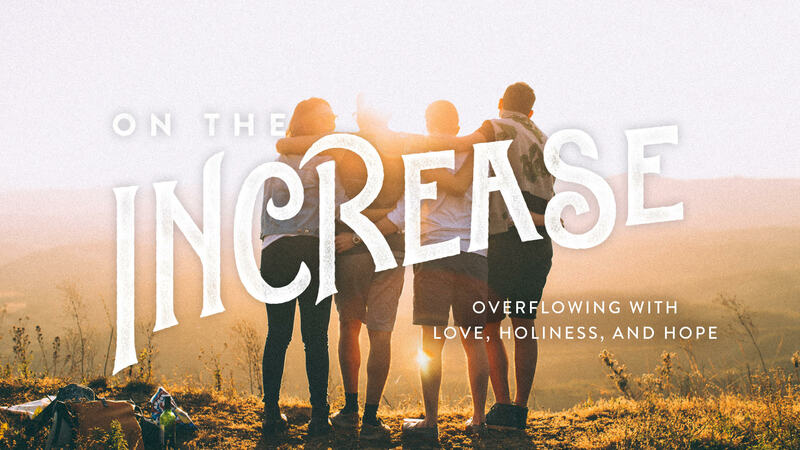 ON THE INCREASE (WK 1): "Lives of Response"
ON THE INCREASE (WK 2): "A Sexuality of Holiness"
ON THE INCREASE (WK 3): "A Quiet Community of Love and Hope"